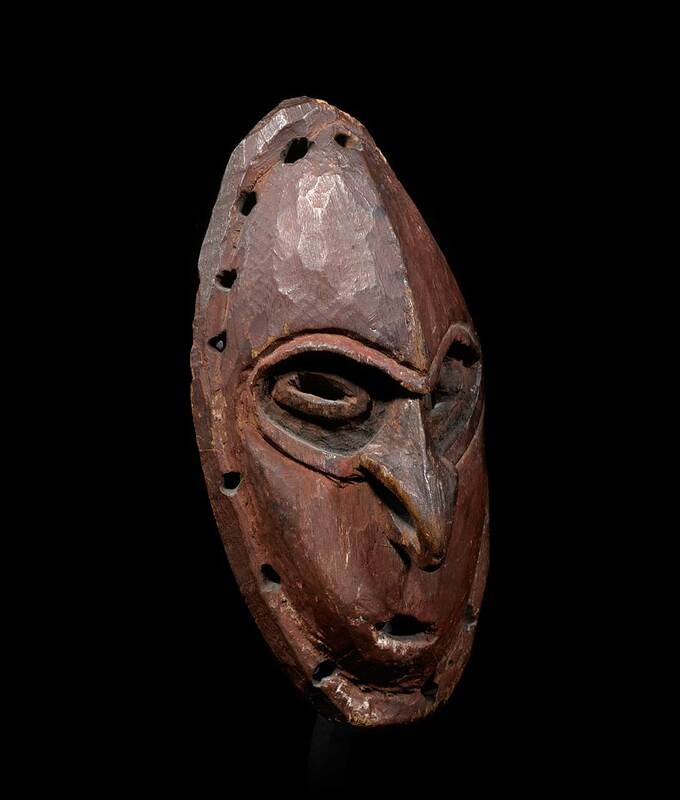 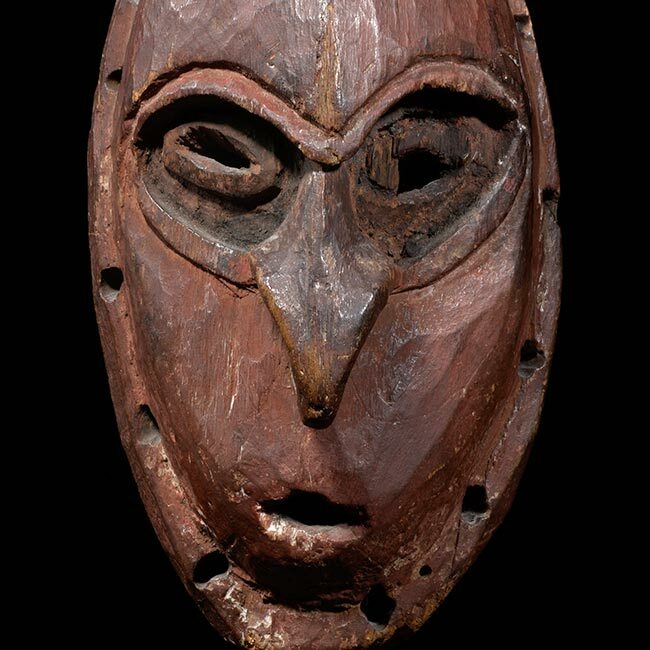 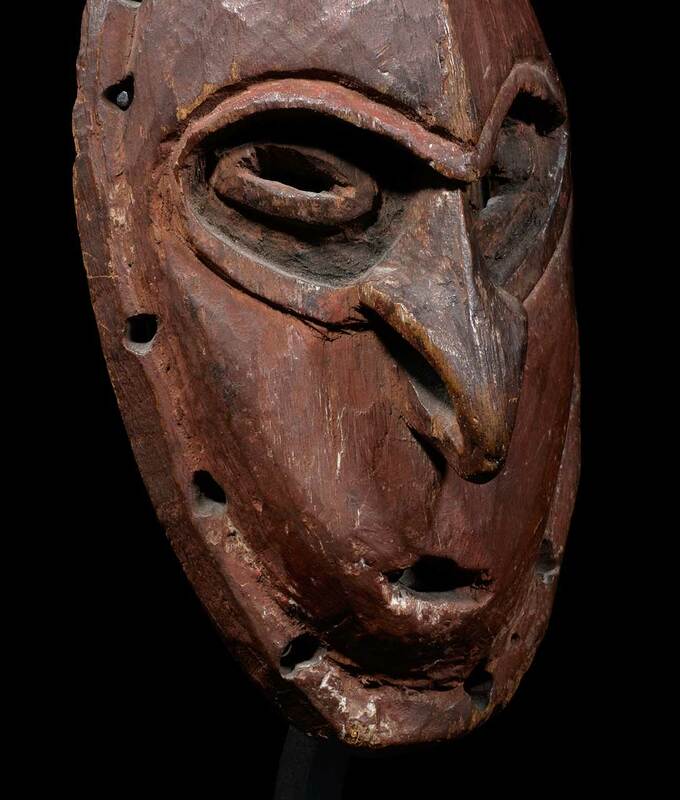 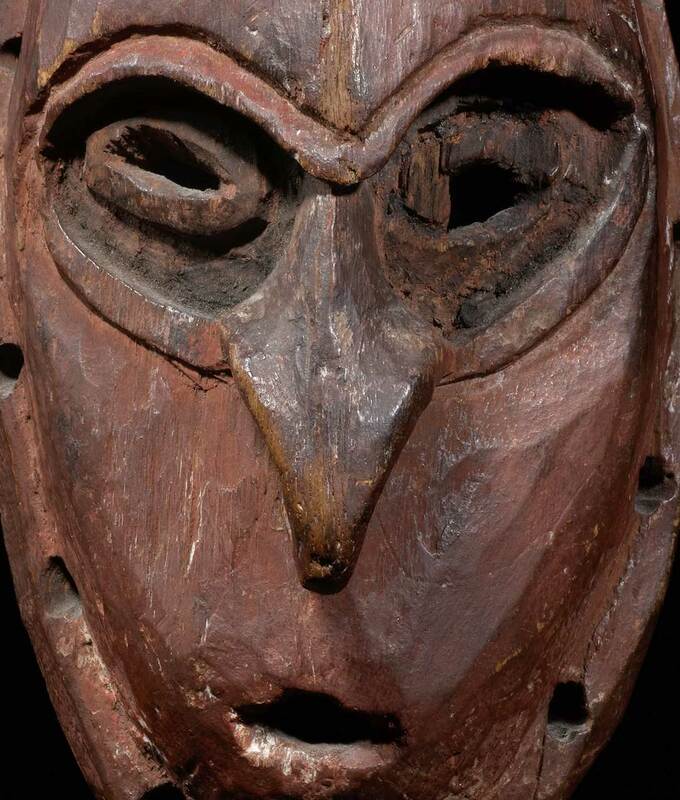 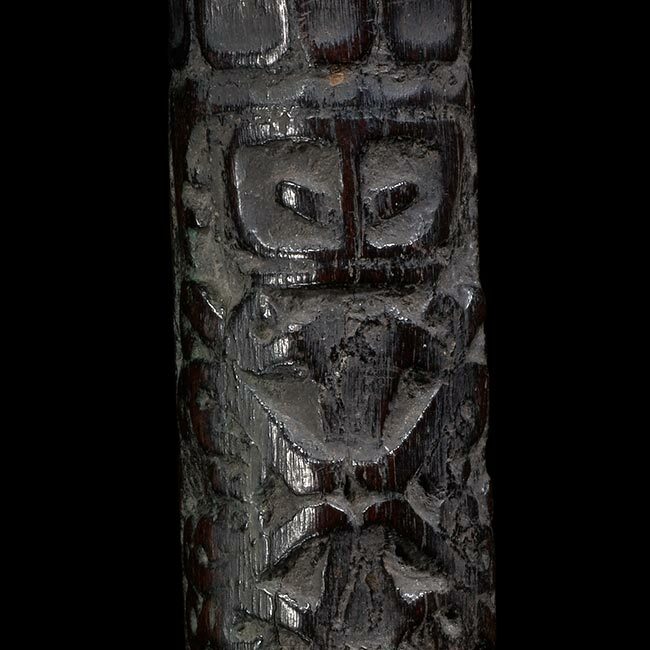 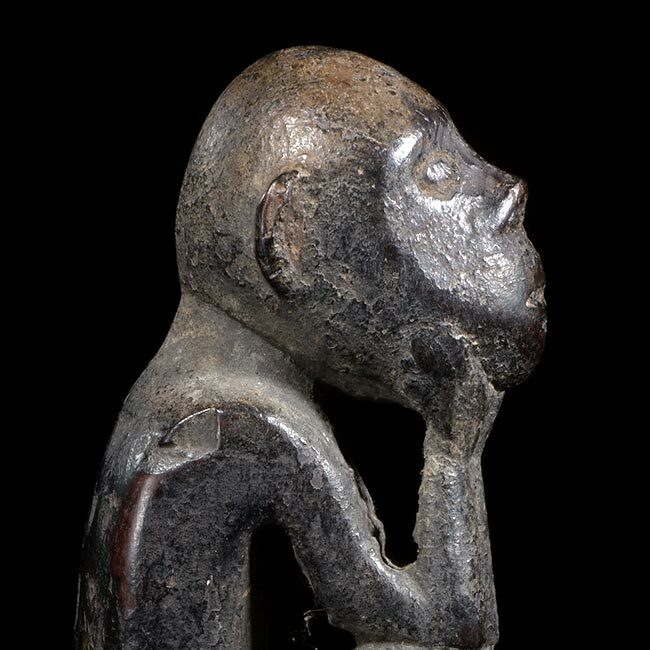 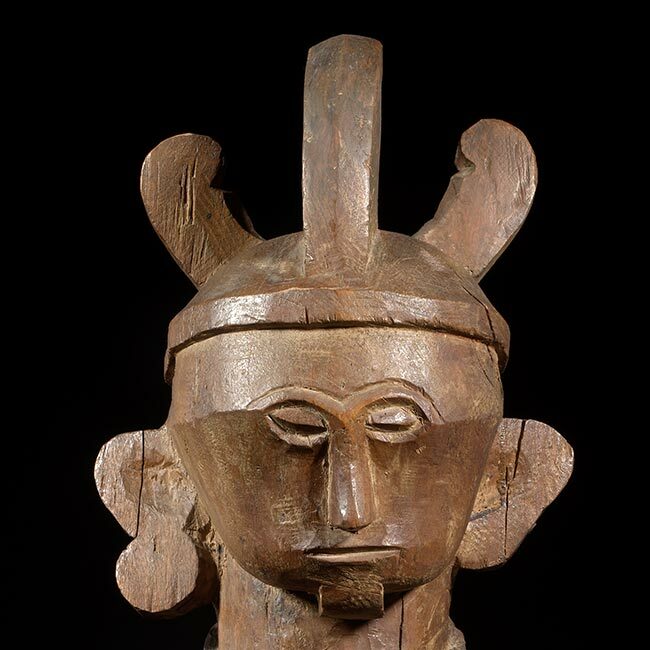 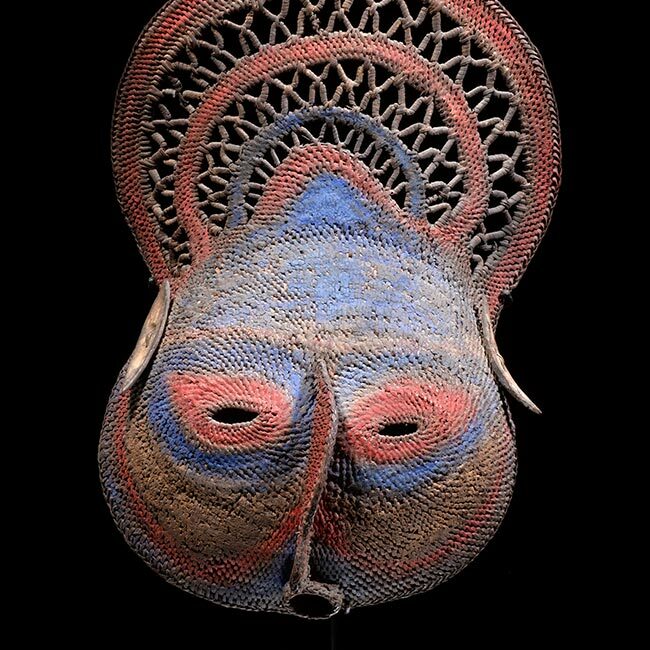 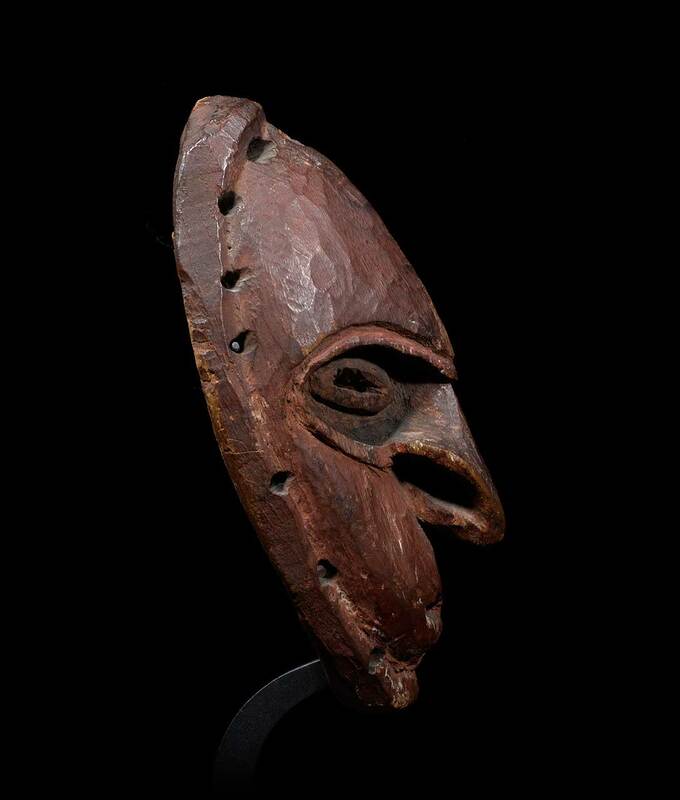 This amulet mask from the Lower Sepik is stone carved and very old, the mask’s facial features are particularly striking, exuding a quiet aggressiveness. 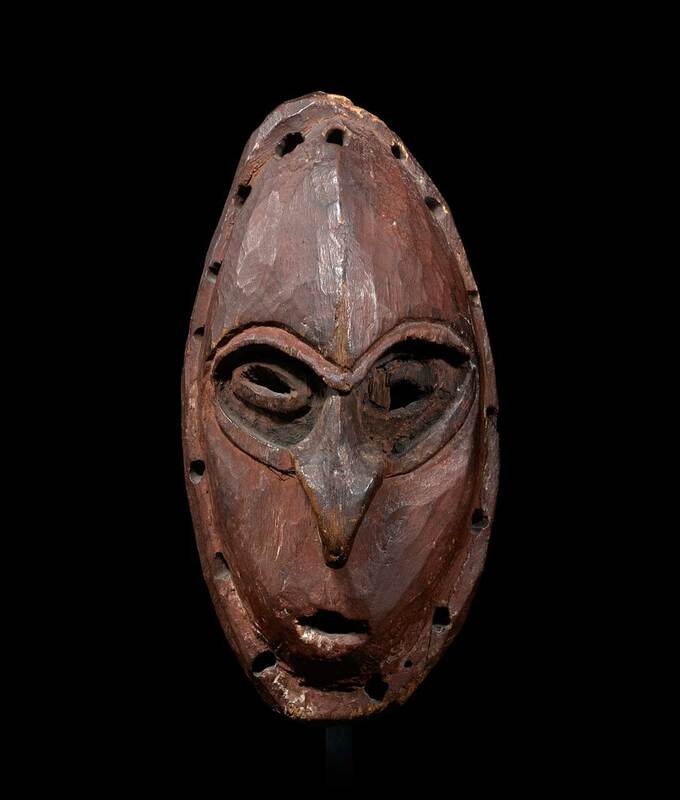 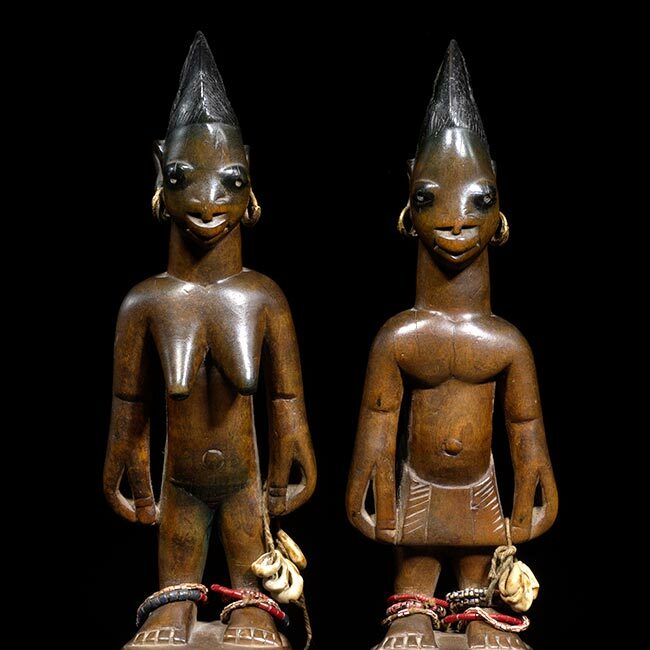 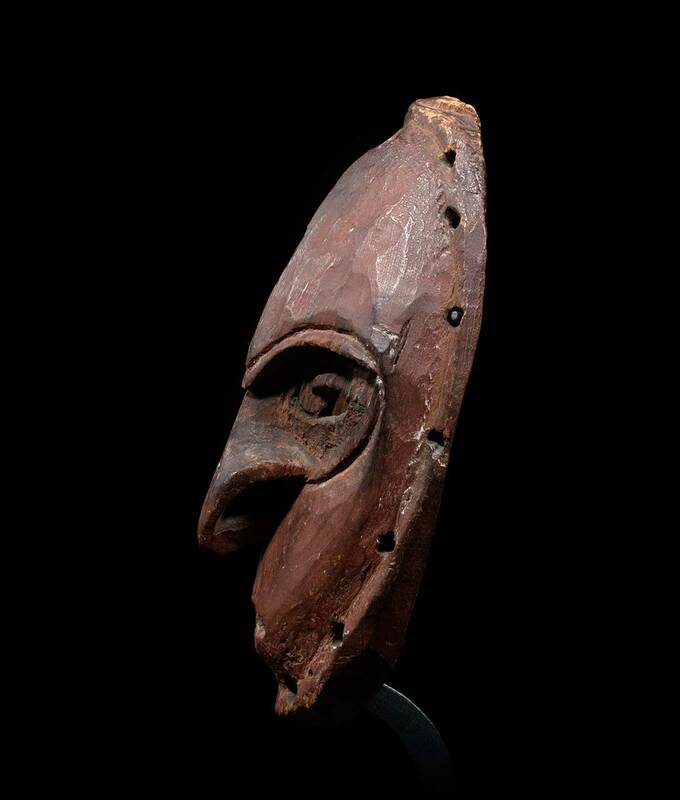 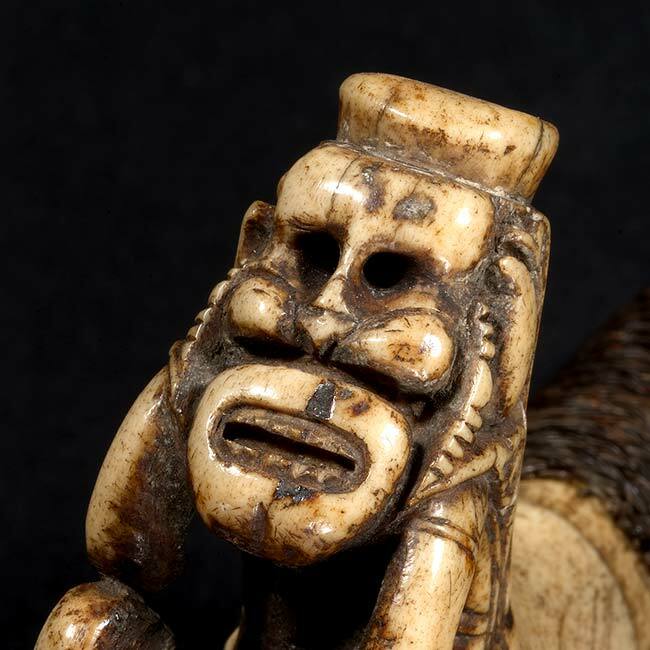 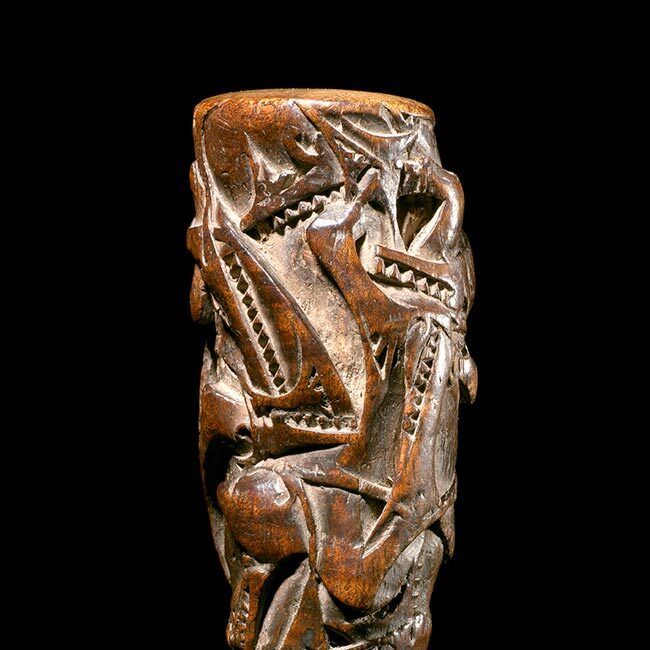 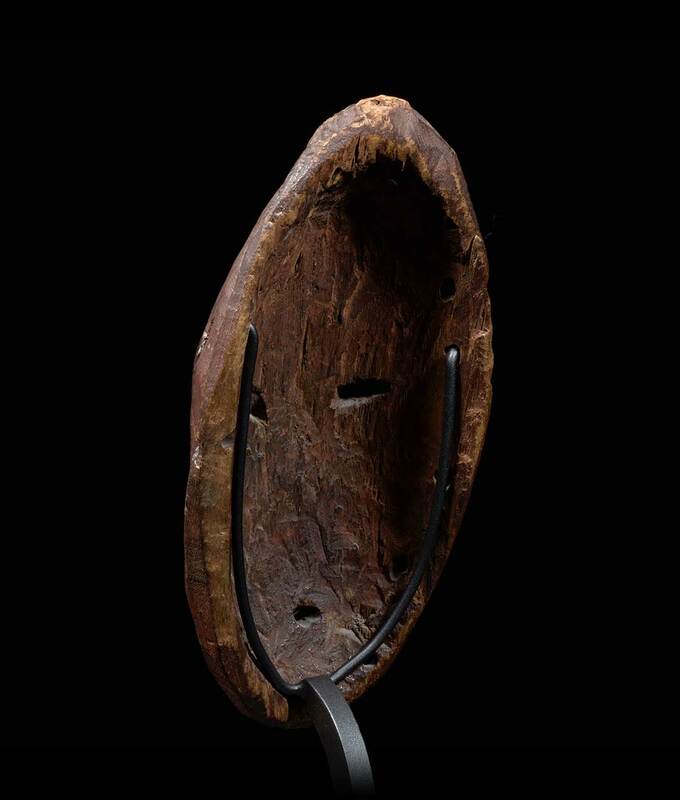 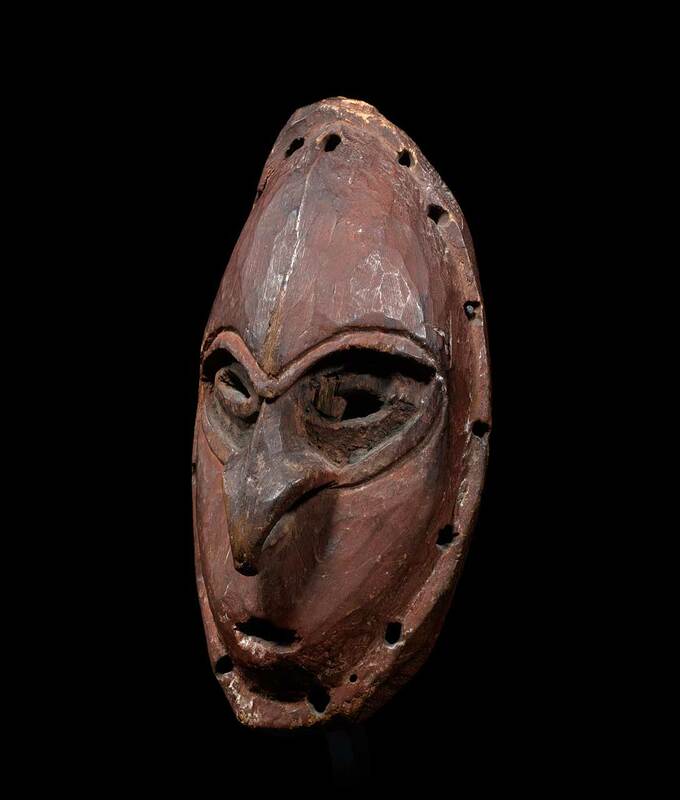 Carefully carved, its elongated nose and deeply set oval eyes are typical stylistic features found on masks from the Lower Sepik region. 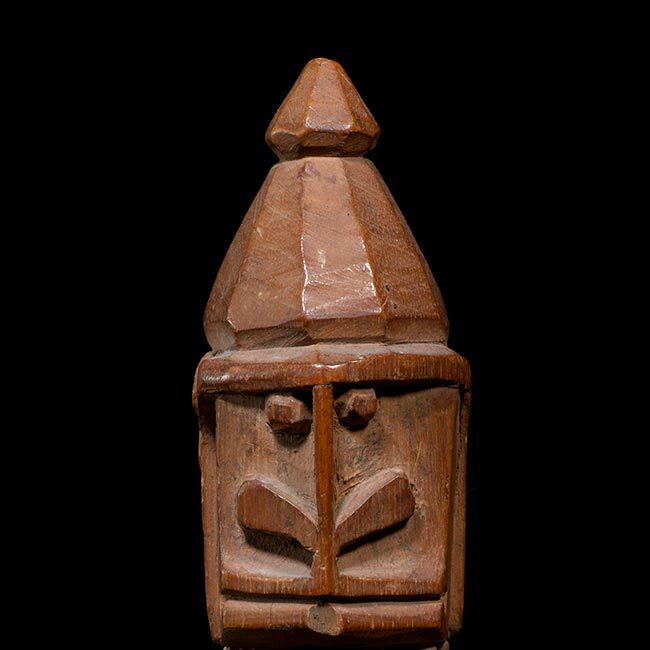 Its slight open mouth only enhances its presence. 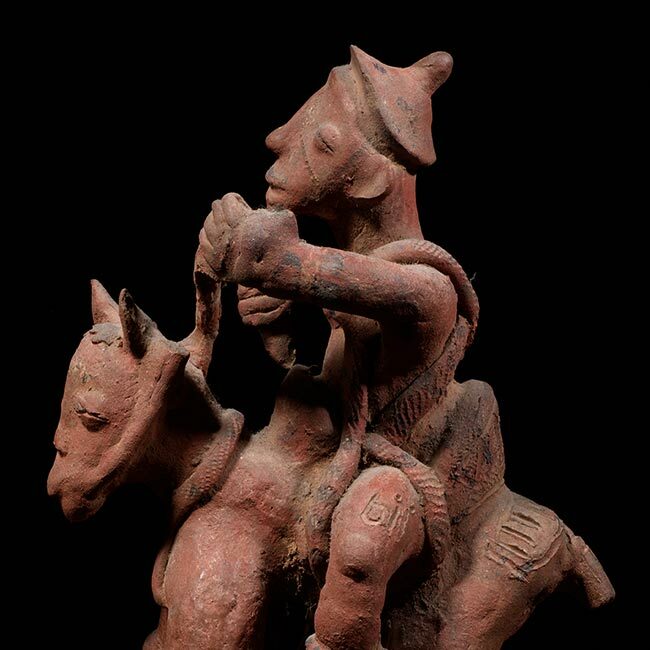 Most of its red ochre pigment is still visible and help define its expressiveness.